Always run at constant production speed, without interruption or ramping during coil transfers. Cut off and coil changes are done automatically and safely. 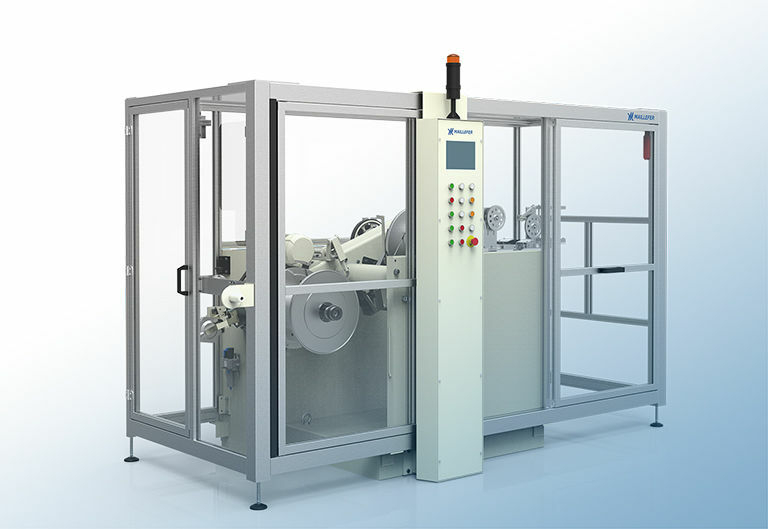 This automatic type coiler is designed to wind medical tube onto a stainless steel fixed bobbin. A contactless dancer assures smooth and reliable transfers. The pipe coils are unloaded safely from the front side of the machine at a convenient height for the operator. The unloading door is opened by the operator while protecting him from the winding side of the machine. Versions of the coiler are available with longitudinal rails or casters, as well as for the two line directions.